Are you about to lose all of your teeth? Have you already lost them and are having trouble with your denture? 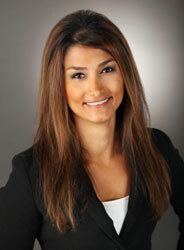 Then Dr. Arvanitis’ unique “Teeth In A Day” procedure is what you have been waiting for! 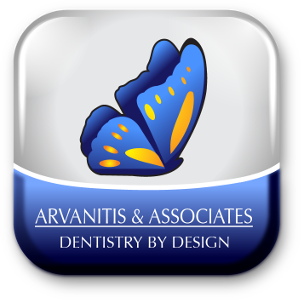 This revolutionary procedure allows Dr. Arvanitis to remove your teeth, place implants and restore them with a beautiful, fixed, non-removable prosthesis. You receive an instant smile transformation and best of all, you never have to wear a removable, temporary denture, while you heal from the implant placement procedure. Dr. Arvanitis has invented new techniques that make this procedure less invasive and less expensive than traditional “Teeth in a Day” procedures. 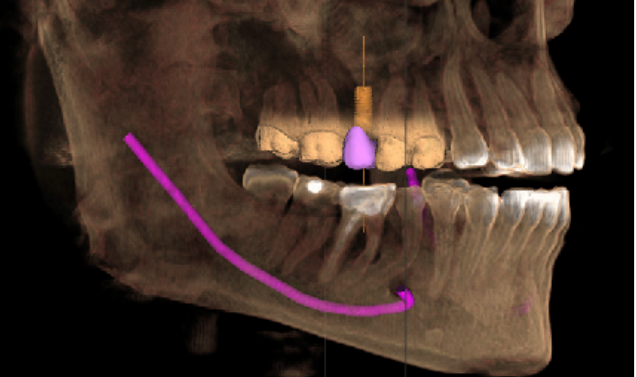 If you are contemplating this procedure, then you owe it to yourself to watch this short video and learn about Dr. Arvanitis’ “Teeth In A Day” technique. Are you tired of your loose dentures falling down? Are you about to lose a tooth? Do you want to have the self-confidence to smile and eat whatever you want, whenever you want? Then isn’t it time for you to consider dental implants! Whether you need to replace one tooth, a few teeth or all of your teeth then you should consider the ultimate in dental implant prosthetics- fixed, non-removable teeth. 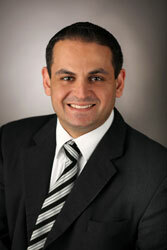 This photo shows one tooth replaced with a dental implant by Dr. Arvanitis. Can you tell which one is the implant? In general if you are missing one, two or a few teeth, dental implants are today’s first choice for replacing them. Unlike traditional bridges which require extensive preparation of the adjacent teeth, dental implants do not attach to other teeth. Best of all they look and feel like a natural tooth. For front teeth it is best for the implants to be placed at the same time that the tooth is lost, provided there is no active infection. This photograph shows a fixed denture made by Dr. Arvanitis. Note the necessity of pink acrylic on the prosthesis to hold the teeth together. When you need to replace all of your teeth, then nothing is better than fixed, non-removable teeth. There are 2 kinds of restorations that can replace all of your teeth. One option is a fixed denture and the other is a fixed porcelain bridge or bridges. Both are supported by 4-8 implants per arch. A fixed denture has the advantage of lower cost compared to porcelain, as all the teeth are off the shelf acrylic denture teeth supported by a metal and acrylic frame. Its main disadvantage vs. porcelain is that these acrylic teeth and pink base are softer and will wear out. Acrylic teeth also have a higher tendency to stain, chip and break down than porcelain. 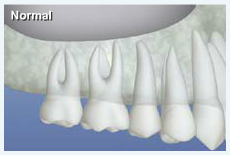 This photograph shows a fixed porcelain bridge supported by implants made by Dr. Arvanitis. Note the patients own healthy gum tissues. Fixed porcelain bridges have the advantage over acrylic denture teeth in that the porcelain is stronger, wear resistant, colour stable and more likely to last decades as opposed to years. If you have been wearing dentures for a long time or have suffered bone loss due to periodontal disease, then you may require a prosthesis that provides lip support and is removable for ease of cleaning and maintenance. Additionally, the higher cost of placing more implants and fabricating a fixed, non removable prosthesis may be out of reach. Fixed teeth may not be an option for you, but don’t worry, we have great solutions that are more affordable. Removable dentures held in or supported by implants are a great option too. There are a few options to choose from when it comes to Implants and Dentures. Implant supported and retained. The force of chewing is transferred from the dentures to the bar to the implants. This gets the chewing pressure off the gums just like a fixed prosthesis. Most value for cost as this prosthesis has the functionality of fixed teeth with the ease of maintenance and cost factor of a denture. One can expect this denture to be very stable. Easy to remove for maintenance and home care. Open palate on upper arch for improved taste and freedom of tongue. Looking for the most affordable way to stabilize your denture? A clip-on overdenture is a denture that does exactly what its name suggests- it clips onto dental implants to help hold it in place. 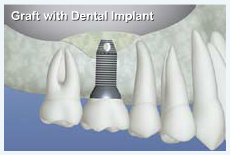 This are the most affordable full arch dental implant treatment. Implant retained but not implant supported. With a clip-on Overdenture the denture is held in place by the implants, but the force of chewing is supported by the patient’s gums. This means less bite force than with a bar overdenture or fixed teeth. Attachments must be replaced periodically. The denture clip system consists of 2 pieces- the implant attachment (attached to the implant itself) and the clip (attached to the inside of the denture). The clips wear out and require replacement once or twice a year. The Attachment itself will also wear out and may need to be replaced every 5-10 years (depending on individual use patterns). Mini implants are small diameter implants manufactured in one piece with the implant and the denture attachment joined together. They are designed to be placed directly into the jaw with minimal surgery, making the procedure less invasive than normal implants. Unlike traditional implants, their small diameter allows them to be placed into resorbed jaws without the need for bone reconstruction. As such they are a more affordable alternative to regular implants and ideal for elderly or medically compromised individuals. However they do have some drawbacks. They cannot be placed at the time of tooth extraction as they are too narrow to fit into tooth sockets. Their one piece design means that the denture attachment on the implant cannot be removed either to upgrade to a better prosthesis in the future, or to replace the attachment when it wears out. Thus, they are best suited for elderly patients. This option is a Good option for elderly patients who want to stabilize an existing or new denture. This prosthesis is implant retained but is not implant supported. This means that the force of chewing is supported by the patient’s gums. Attachments and denture clips can be replaced. 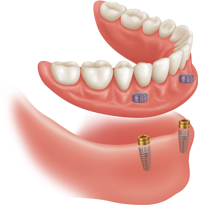 Uses regular 2 piece implants which allows for the replacement of the attachments when they wear out, as well as the potential for future prosthetic upgrades to a Bar Overdenture or Fixed Prosthesis. This option is a good option for younger patients who want to stabilize their denture as they will need to change their attachments when they wear out, and for those who may want to upgrade their prosthesis in the future. precise, safer and more comfortable implant surgery. We want our patients to receive the best dental care possible, that’s why we invested in the latest dental diagnostic technology, the Sirona Orthophos® 3D Dental Cone Beam solution. 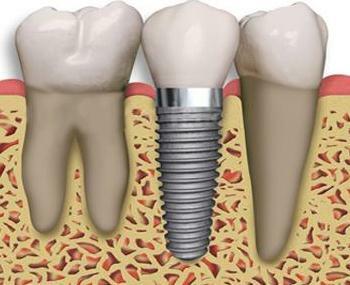 An Implant is an artificial replacement for the root of a tooth. Dental implants are used as anchors to hold individual crowns for single tooth replacement, as part of a bridge to replace multiple missing teeth, as part of multiple bridges to replace all the teeth, or as anchors for denture attachments, clips, bars and other prostheses. Dental implants are currently the very best method for replacing missing teeth. The treatment has been around for over 50 years and is well proven to be the most successful long term solution. Is it painful? What is the procedure like? The amount of discomfort you will have depends on the procedure you are having done. Placing a single dental implant into a healed site is much less uncomfortable than having the tooth removed. In general people have very little discomfort after the procedure. Having all your teeth removed, the jaw bone reconstructed and multiple implants placed in one procedure- well that is a bit different. One would expect this to be very painful. They would however be incorrect. In my practice I rarely prescribe anything stronger than over the counter Ibuprofen and people still have very little pain. Not everyone and not every time, but most people, most of the time. Once again this varies depending on the procedure. A single implant with crown, start to finish, in the posterior is usually a few thousand dollars with minor bone reconstruction, CT scan and sedation. Anterior aesthetic zone implants require much more time and attention to detail to shape the gum tissues, need temporary teeth and thus are a bit more expensive. Will they last a lifetime? Dental implants are not teeth. They don’t decay. They don’t need root canal treatment. They don’t feel hot, cold or sweets. 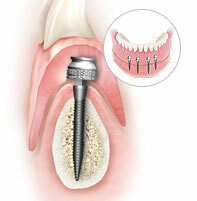 An implant is basically a titanium screw anchor holding up a prosthesis. Your gums must maintain a seal around this prosthesis in order to keep oral bacteria from getting under the gums and causing an infection called peri-implantitis. It is estimated that up to 40% of implants will develop peri-implantitis which is the implant version of periodontal disease or periodontitis. Just like with teeth you can develop recession of the gums and loss of attachment around an implant. This may necessitate further treatment such as gum grafting or other periodontal treatments. Proper oral hygiene and regular professional cleanings are required just like with teeth. Smoking, osteoporosis, diabetes and other medical conditions can cause and accelerate peri-implantitis. So will your implants last a lifetime. Maybe. No one can guarantee that. Is there anything man makes that lasts forever? Other than peri-implantitis, the most frequent issues with implant therapy is with the prostheses themselves. Teeth wear out and so do dental prostheses. Porcelain can chip or crack. Denture teeth wear down and stain. Denture attachments wear out and require periodic replacement. Some of the implant teeth don’t look the same as teeth. Will my implants look correct? Dental prostheses are a simulation of teeth. They are not teeth. They are the best we have right now. The best analogy would be replacement limbs. If you lost your arm and had the latest robotic masterpiece made to replace it, and spent tens of thousands of dollars to buy it, would you expect it to look indistinguishable from the arm you once had? We can make teeth that look amazing but it would be unwise to think that it will be the same as teeth. Perfection is not achievable all the time. I’ve been told I don’t have enough bone for an implant. How did this happen? 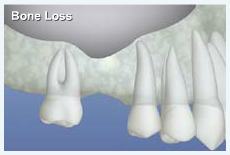 Tooth loss leads to bone loss. One of the most common misconceptions I encounter in my office is that the easiest solution to any dental problem is removing the offending tooth. Many people feel that once the tooth is lost, their dental problem is over. Most find out too late that removing the tooth is not the end of the end of your problem, but the beginning of many more. Techniques for removing a tooth frequently involve destroying anywhere from 20% to 30% of the bone that holds it in place. Additionally, once the tooth is lost the remaining bone will naturally atrophy or shrink if it isn’t being used. Up to 50% of the surrounding bone will be lost during the initial healing period and even more over time. What happens when the back teeth are lost? When all of your posterior teeth are missing, the back of your mouth actually collapses as the bone deteriorates. The teeth in the front begin to flare out as the corners of your mouth begin to droop. Your appearance begins to change as the height of the jaw decreases. If your posterior teeth are replaced with a partial denture, the resorptive process is accelerated as the partial presses down on the gums and underlying bone as you eat. Replacing the posterior teeth with implant supported teeth preserves the bone, preventing this deterioration and collapse. What happens when all the teeth are lost? When all of your teeth are missing, the jaws deteriorate rapidly. In addition, as the bone melts away your muscles migrate, or pull back from their natural position. Your lips cave in as they lose support and wrinkles increase dramatically as your facial structure collapses. This can also result in significant overall health problems related to improper digestion and malnutrition. Dentures accelerate the bone resorption process as they put pressure on and compact the gums and underlying bone. As facial structures continue to collapse, the dentures must be relined (made thicker) to compensate for additional bone loss. As the years go by and bone continues to be lost, less and less tissues are left to support the denture. The dentures become harder and harder to keep in. Foods like corn on the cob, apples, and salad become impossible to eat. Fear of the denture falling out in public erodes self confidence and people become afraid to smile or eat in public. Replacing your missing teeth with implant supported overdentures or bridges will preserve the bone and prevent the further deterioration of facial structures and the related health and functional problems that would normally be associated with complete tooth loss. How Can this Bone Loss and Facial Structure Collapse be Prevented? Dr. Arvanitis uses new techniques for tooth removal that have been designed to preserve the bone by not removing it during the surgery. 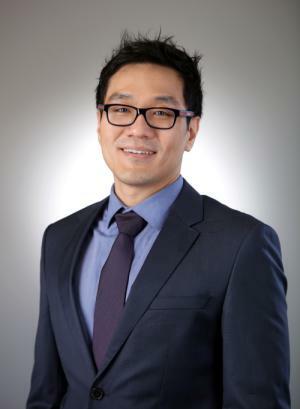 The best techniques available today also involve placing the implant right into the socket of the extracted tooth at the time of extraction. Additionally a grafting material is then placed into the socket around the implant which will support and feed the surrounding bone during the healing period preventing the initial atrophy. 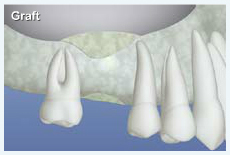 If the patient is not ready to proceed with the implant then a bone graft alone will be used to preserve the bone. Over time however, the natural atrophy will still occur if the implant is not placed. Thus it is imperative that the critical areas of the jawbone needed to support implants are preserved. If you have lost one or two teeth, then the area should have dental implants placed within the first year to prevent the long term bone loss. If you already have dentures then implants can be used to hold them in place and the areas where these implants would be placed need to be protected. Only by placing dental implants can the bone be preserved. When an upper back tooth is lost, not only will the outer bone and gum shrink but the maxillary sinus that sits at the root tips will begin to expand as well. Just the simple act of breathing in and out is enough pressure to cause the sinus to expand once the tooth roots no longer hold up the sinus floor. Consequently, if you decide after a few years to replace this missing tooth with an implant you may be told that the sinus floor is now in the way. The analogy I usually give to my patients is to imagine that you want to hang a very heavy picture on your wall. We all know that despite the wall looking very solid on the outside, that your wall is actually hollow behind the drywall. Thus if we put our anchor into this wall it will punch through into the air space behind the drywall. This isn’t a good idea if that space is in your sinus. So how do we get around this? Well we need to add some plaster behind the drywall so that the implant anchor will be totally in plaster. This is what a sinus lift entails. Lining the bony floor of the sinus is a lining we call the sinus membrane. Imagine the skin on the inside of your nose that lines your nasal passages extending through all your sinuses. It is this lining that we lift up. Between the lifted sinus lining and the bony sinus floor we place our bone graft. This is then left to harden and turn into new bone and eight to nine months later the new bone will be ready to have the implant anchor placed. This, is a Sinus Lift and it has become a very common procedure with a high success rate.